Most Tottenham Hotspur fans will know that keeping up to date with the new releases each season can become rather expensive. Therefore, they tend to collect the vintage styles, but that too can become costly if you do not know where to get the best deals. This is why we have decided to introduce a page solely for discounted Spurs sportswear ranges for our customers to browse. Previously designed by Under Armour, the Tottenham Hotspur sportswear ranges have now been taken over by Nike. Like every season, a new home, away and third shirt as well as training wear, shorts and socks have been released thus creating the impression amongst supporters that the older versions of these items are out dated. However, throughout all of the designs and colours one thing has remained consistent – the club’s crest. Just because the colours and style have been updated, doesn’t mean it isn’t valid anymore, as it is still a form of memorabilia for your beloved club. 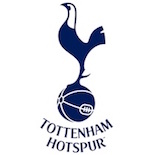 You will still be wearing the team’s crest on your chest, thus showcasing your pride for the mighty Spurs. Of course if it is the latest Nike Spurs kit you are looking for, that is also available here at Soccer Box. Check out this Spurs Special Offers page and uncover a new item of clothing for yourself or a loved one, for a great value! As little ones grow out of clothes so quickly and change their minds like the wind, you don’t want to have to pay a fortune for something they won’t be using a couple months down the line. Therefore these ranges are ideal for younger supporters who are just beginning their journey into the wide world of football as they are affordable and are authentic Tottenham Hotspur sports clothing items. If your child is likely to switch their allegiance, we also have special offer pages for most clubs where you can continue bargain hunting. With savings of up to 50% off these Spurs shirts, socks and shorts, these items won’t stick around for long! As the stock is from older seasons, unfortunately we only have a limited amount available, so when they are gone, they are gone. Therefore you should go ahead and place your order today to ensure that you have secured yourself a bargain before they are all sold out. You are guaranteed to discover the perfect gift for any Tottenham Hotspur fan or collector here at Soccer Box. Whether you are starting your own collection or purchasing a gift for a family member we have got you covered. So make us your one-stop shop for all things Spurs and you will not regret it!